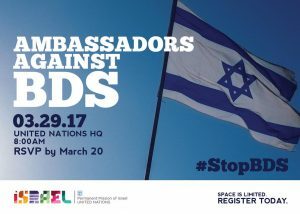 New York — March 21, 2017 … The World Jewish Congress and Israel’s Permanent Mission to the United Nations will co-host a special conference on the delegitimization of Israel, at the UN headquarters in New York City on March 29. The Annual Ambassadors Against BDS Summit will bring together more than 2,000 students, dignitaries, public officials, diplomats, journalists and opinion makers. 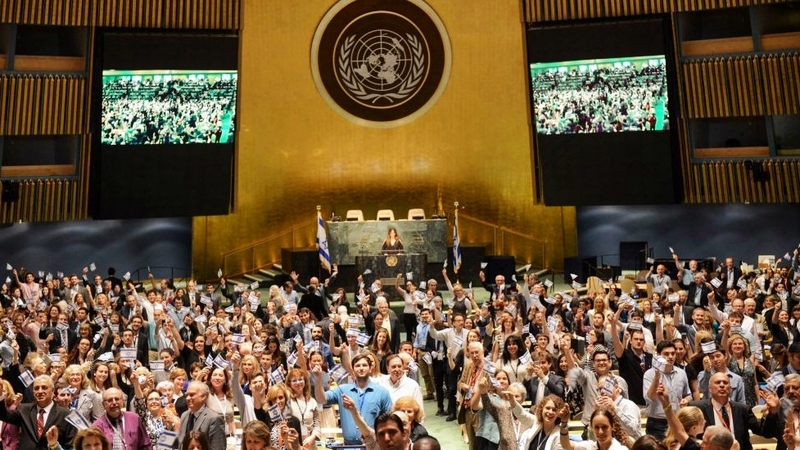 The Boycott, Divestment and Sanctions Movement is based on coercion rather than democracy. Proponents imply that Israel is not open to persuasion and that the electorate is too stupid, immature or evil to know what is best for the society. Unable to convince the Israeli electorate of the merits of their views, BDS proponents demonize Israel and call for outsiders to punish the citizens of Israel until they capitulate. Under the false premise of being “apolitical,” BDS advocates claim they are not advocating any one solution. In reality, this is purposeful ambiguity, as their three demands clearly spell out a “one-state” outcome, which has no basis in international law and which is code for the destruction of Israel as the nation-state of the Jewish people. While disavowing any interest in an objective policy for concluding an Israeli-Palestinian agreement, their preconditions make it impossible to see an outcome whereby an independent state of Palestine would coexist beside a secure Jewish state. BDS is a recipe for disaster, not coexistence. Creating “one state” with the “right of return” would mean that there would be no Israel and no self-determination for the Jewish people. This is not a basis for peace but a formula for perpetual conflict. 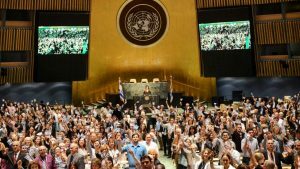 US Ambassador to the UN Nikki Haley, who was the first US governor to sign into law anti-BDS legislation, will address the UN conference participants at the opening plenary session in the General Assembly Hall. Respected officials set to address the UN summit include WJC President Lauder, Israel’s Permanent Representative to the UN Ambassador Danny Danon, and Jewish Agency Chairman Natan Sharanky. “This gathering is on the frontlines of our battle against the global BDS movement. Israel has countless supporters who work tirelessly against these forces of darkness. Now is the time for us all to come together as a united front as we face this challenge,” Danon added. Following the plenary session, conference participants will have the opportunity to hear three panel discussions focusing on the major issues at the heart of the fight against BDS: Social and digital media, campuses around the world, and the private and business sectors. The panels will feature international renowned professionals in their respective fields, as well as representatives with first hand experience in fighting BDS and its challenges.